The skin around the eyes is one of the most delicate on the body. Therefore, companies should pay careful attention to the formulation of their eye creams. For some reason, Tarte did not pay attention to the above fact. Although I have been pleased with their cosmetics, their skincare is proving to be sub-par – even worse than drugstore brands. My eye area has become dry and, consequently, developed fine lines that were not there previously after using Maracuja C-Brighter Eye Treatment. The skin does not feel comfortable and I have an urge to rub around the eyes often, an act that damages the delicate skin. Just like with the Tarte Pure Maracuja Oil, my skin is not receiving enough hydration with the eye cream. Since I cannot use this product as intended, I mixed it with Philosophy Amazing Grace Firming Body Emulsion to obtain a firming face cream. I’m glad that I won’t need to throw this product away, like I did with the Maracuja Oil. However, on its own, it’s not a good enough face cream, either. It would be beneficial to the public if Tarte changed their formula, or, better yet, made another product that wasn’t so irritating. Based on the reviews, however, other people seem to be finding this cream satisfactory. Use at your own risk. I, for one, will be weary of any skincare from Tarte, especially their Maracuja line. 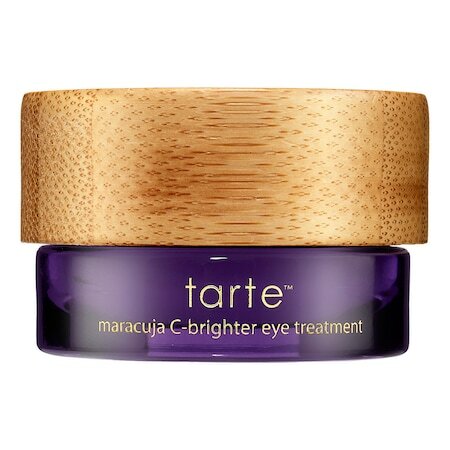 Tarte Maracuja C-Brighter Eye Treatment: 0.35oz (10ml) for C$46.00 @ Sephora.ca. Face oils are the fad now. My first introduction to oils was the use of olive oil to mend split ends and nourish the hair. It worked. After, I tried coconut and grapeseed oils. For the hair, grapeseed worked the best because it was absorbed better. Of the three above, it was also the best for the skin as it did not cause acne like olive oil and was not as thick as coconut oil. In any case, oils that we eat may be good for the body, but they can stain clothes and be overwhelming during the summer. The dry oils in vogue right now absorb a lot faster than traditional oils. The first face oil that I came across (but haven’t yet tried) was Argan oil. Having had favourable experience with food-grade oils, I wasn’t surprised to see it enjoying positive reviews. My sample of Tarte’s Pure Maracuja Oil arrived with high expectations. Unfortunately, its hydration proved to be severely lacking. On its own, my skin became dry. The dryness became more pronounced with further use and caused redness, irritation, and blotchiness only after 2 days use without any other creams. Mixing it with a more moisturizing cream only slowed down the drying out. For oily skin, I would give it a test. Dry skin – another cream required. 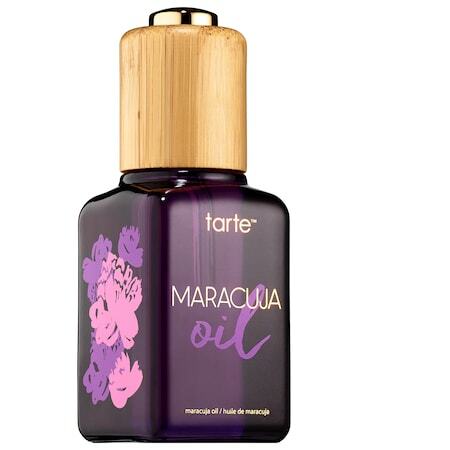 Tarte Pure Maracuja Oil: 0.6oz (20ml) rollerball for C$20.00, 1.7oz (50ml) for C$55.00, 3.4oz (100ml) for C$90.00 @ Sephora.ca. Everyone’s hair is different – genetics, environment, and treatments that the hair goes through. Dryness is one problem that can affect hair. It can stem from overprocessing, winter, living in arid regions, or naturally dry hair. Dry hair could be one cause of frizz and split ends, especially on longer hair. Healthy hair is good looking hair and nourishment is the way to battle damaged hair. Oils are very good for the hair and scalp. Have you ever tried putting warm oil (olive, coconut, or grapeseed) in hair for 30 minutes before washing? Hair becomes softer, silkier, shinier. Not everyone wants or has time to sit with dripping oily hair for a whole 30 minutes. Enter dry oils – to be put into hair after washing and to be left there until next wash, providing nourishment without making hair greasy (unless you’ve used too much) or the hassle of oily oil. Kendi Pure Treatment Oil is one such oil. It makes hair less dry and helps prevent split ends. It strengthens while providing protection from environmental damage. Kendi contains bamboo extract for strength, omega 3-6-9 fatty acids, and tocopherol (an antioxidant). Personally, it has been helpful with the split ends battle. 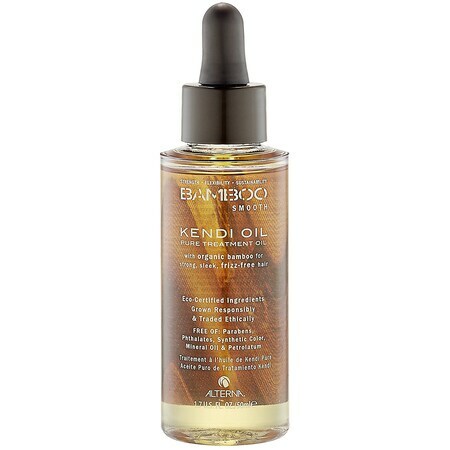 Alterna Bamboo Smooth Kendi Pure Treatment Oil: 1.7oz (50ml) for C$28.50 @ Sephora.ca. Our poor feet carry our masses every day. For people with days spent on the feet or for those that just need some pampering, a moisturizing and calming foot cream is something to wish for. L’Occitane’s is a rich, yet non-greasy foot cream that calms skin with lavender and arnica essential oils. It moisturizes the feet well, but I did not find that it did a better job than body creams containing shea butter. Even though I take care to avoid and treat calluses, hardened skin remained did not soften back to the way it used to, as I had hoped it would. This may be a lot to ask and I may be already too spoilt with other moisturizing creams to say that L’Occitane’s is not moisturizing enough. Foot Cream’s relaxing effect is unique, however, and may be worth investigating for red, itchy, or simply tired feet. The worth of the Foot Cream depends on the feet. In any case, it is a good idea to keep calming foot remedies, whether L’Occitane’s or others, for times when feet/legs ache. 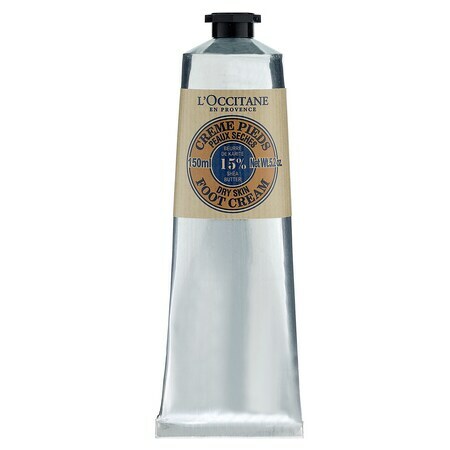 L’Occitane Shea Butter Foot Cream: 5.2oz (150ml) for C$30.00 @ Sephora.ca; 150ml for £19.00 @ Escentual.com.